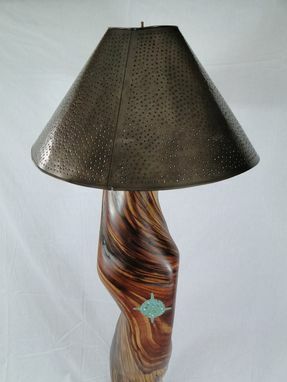 Reclaimed Cedar Floor Lamp With Turquoise Inlay And Hammered Tin Lampshade. This Lamp is constructed with a reclaimed cedar fence post post that was put in the ground in the San Louis Valley, Colorado in the 1860s. 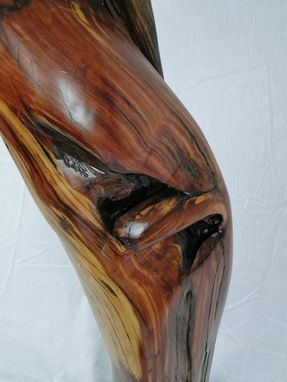 It has been sculpted and planed to reveal the heart wood then cast in a colored concrete base that has been finely polished and sealed with a satin sealer. 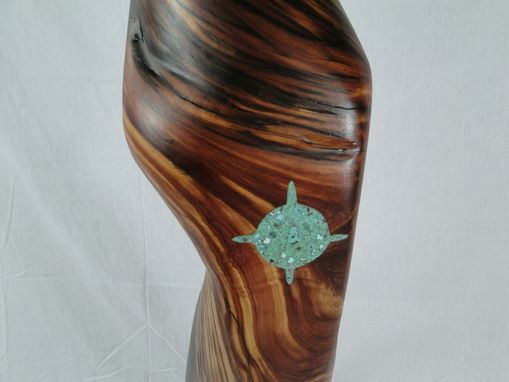 There is a turquoise inlay with a four directions symbol. 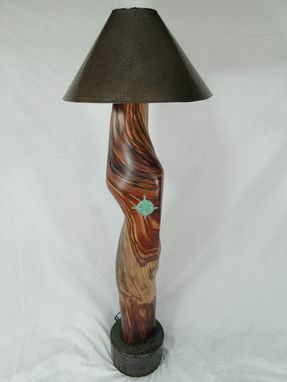 One of a kind southwestern flavor !